mounted according to the order of functions, on articulated trailers or special vehicles. Transport can be performed either by road, or by railway. transported simultaneously to the incident site. 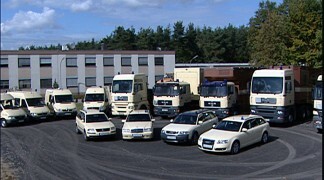 Minibuses and five cars are available for the transport of operational personnel. Each vehicle is equipped with radio communication and mobile telephones. All vehicles are fitted with blue lights and two-tone sirens.